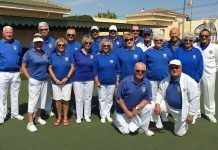 Home Sport Bowls SAN LUIS BOWLS CLUB REPORT 21.04.17. 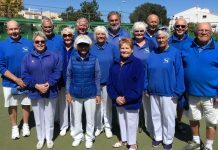 Avalon sponsored Mixed Triples Competition 14th -16th April. Each game was played over 10 ends or 90 minutes. 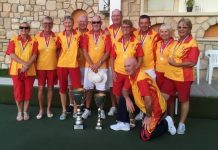 Following the group stage, the semi finals were winners of group A: Carole Donnellan, John Pooley & Dennis Birkett (EI) who lost against group B winners: June & Keith Jones & Mal Hughes (SL). 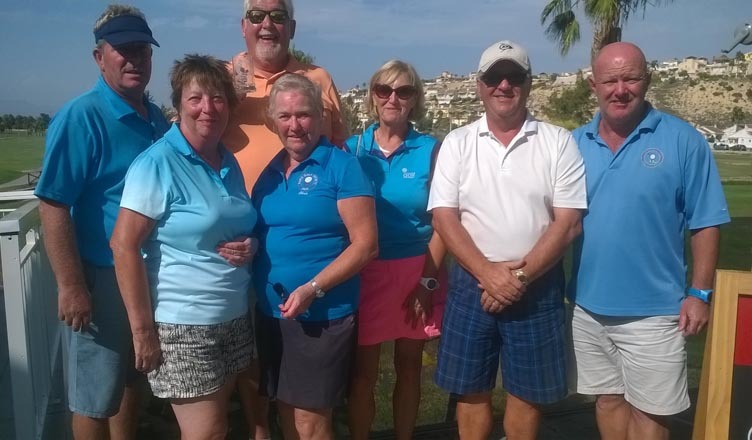 Group C winners: Bob Nesbitt, Carl & Ann Eagle (SM) beat group D winners: Carol Broomfield, Jason Prokopowycz, Derek Sale (Q). 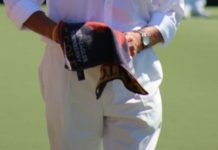 After this good mix of clubs, Mal’s team played through strongly to win against Jason’s team. 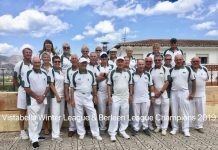 A very enjoyable event all round; thanks to Sue Cooper for organising everything, players for their participation in a good spirit, the spectators who helped build the atmosphere and Avalon for their support. 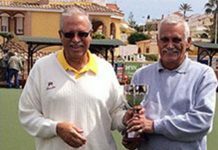 Champion of Champions Tournament started on Monday 17th at San Luis & Greenlands, with some excellent bowling to watch and some close fought matches; unfortunately both our men’s & ladies’ pairs had been knocked out of the competition by Tuesday afternoon, by Mazarron & Javea Green respectively. 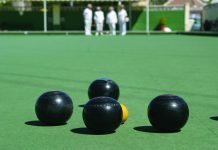 However by then Russell had reached the semi final of the men’s singles & today, after a beautiful display of bowling, he won through to the final on Saturday afternoon. 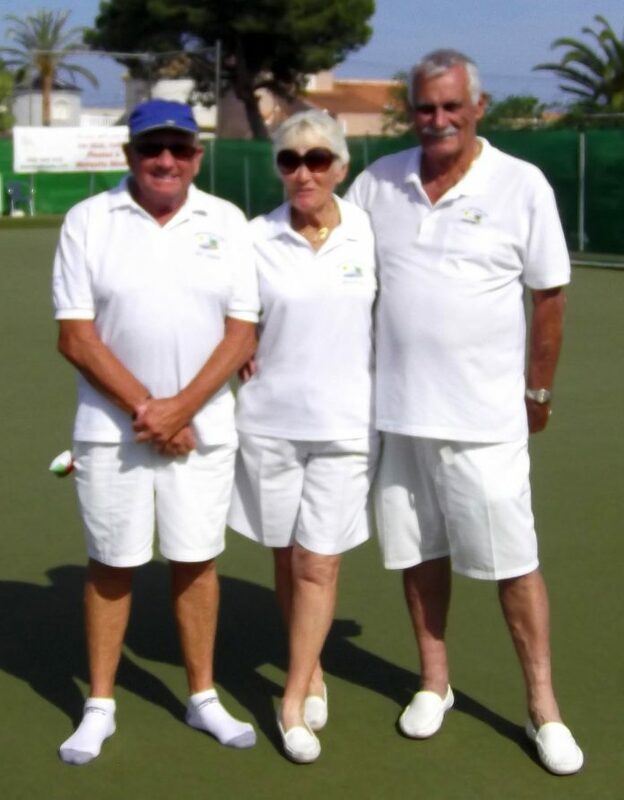 With Sabrina & Keith Jones they won their first mixed triples match but then went out to El Cid. 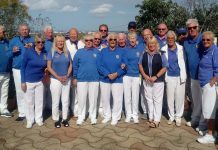 On Wednesday it was the start of the mixed pairs campaign which went very well for Tom Hill & Sabrina Marks and they are now through to the final on Saturday afternoon. 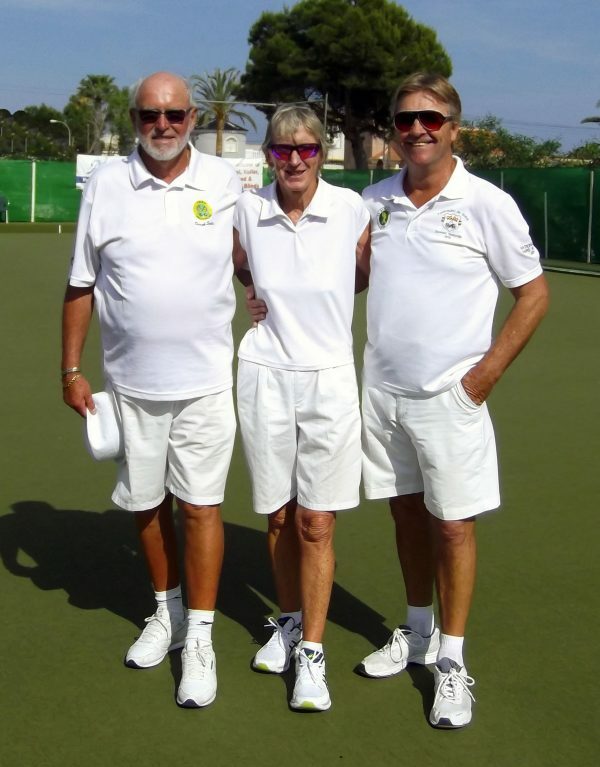 Our rinks team of Steve Simmons, Sabrina Marks, Keith Jones & Russell Marks are into the ¼ final on Saturday morning. Good luck to everyone; hopefully there will be good news to report next week. Obviously San Luis players have achieved some excellent results and we wish to continue this. 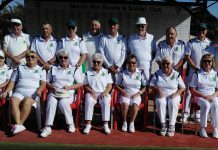 We are currently looking for new members to join us for the 2017/18 winter season. 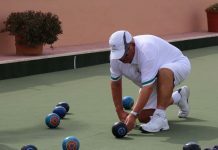 We welcome all bowlers, from the most experienced to those who want to step up from purely “social” bowling to the league challenge. 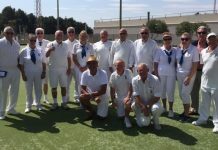 We are a very competitive but friendly club and Casa Ventura itself is a hub for the local area, offering a wide range of non-bowling activities.